Today is the 70th birthday of Steve Hindy, one of the co-founders of Brooklyn Brewery, and the man responsible for running things day-to-day. Hindy was a journalist for many years before opening the brewery, reporting from numerous war-torn spots around the globe, and as a result has a different perspective on the world that makes him a fascinating person to share a beer with. If you haven’t already, check out his book Beer School, written with Brooklyn Brewery business partner Tom Potter, and also his newer book The Craft Beer Revolution: How a Band of Microbrewers Is Transforming the World’s Favorite Drink. He’s also very active with the Brewers Association and in his local community,too, making it easier for small brewers that follow him. Join me in wishing Steve a very happy birthday. 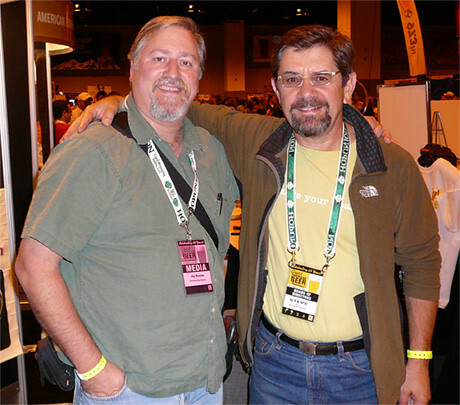 Me and Steve during GABF in 2006. 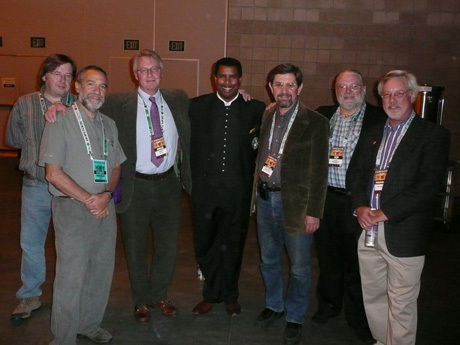 Just before taking the stage during GABF 2007, from left, Glenn Payne (of Meantime Brewing), Charlie Papazian (of the Brewers Association), Mark Dorber (formerly of the White Horse on Parson’s Green but now at the Anchor Pub), Garrett Oliver, and Steve Hindy (both from Brooklyn Brewing), Dave Alexander (from the Brickskeller), and Tom Dalldorf (from the Celebrator Beer News). 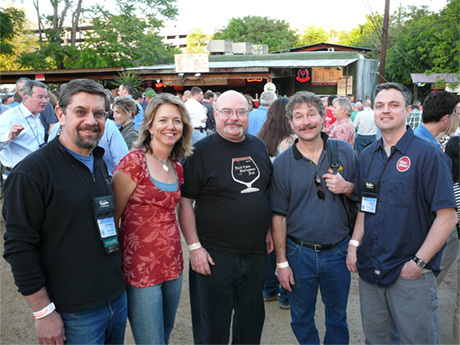 Steve, Kim Jordan (New Belgium), Dave Keene (The Toronado in SF), Eddie Friedland (former owner of Philadelphia’s Friedland Distributing) and Vinnie Cilurzo (Russian River) in Austin, Texas for the 2007 Craft Brewers Conference. This is from Steve’s acceptance speech after receiving the F.X. Matt Defense of the Industry Award from Brewers Association in 2010, which you watch in its entirety below. Happy Birthday Steve! 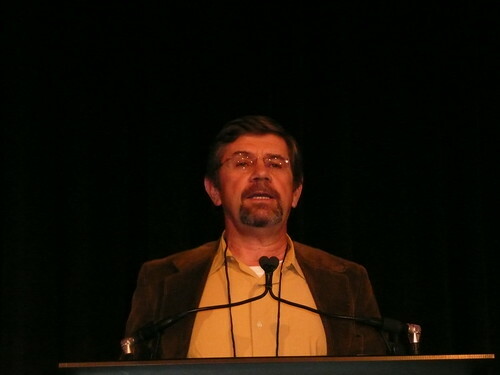 We enjoyed meeting you at Ohio Brew Week a few years ago and hearing your talks. Love the beers! Have another great beerday! Maybe we’ll see you in Ohio for beer week sometime.